For years public radio has been home for diverse music in America. We all have that one song, one band, one moment that transports us to another time or place. Public radio has always taken creative risks by giving voice to new and emerging artists. And it has long been the champion of America's cultural heritage - Jazz. The BlueNotes blog is the place for you to rekindle your passion for music. 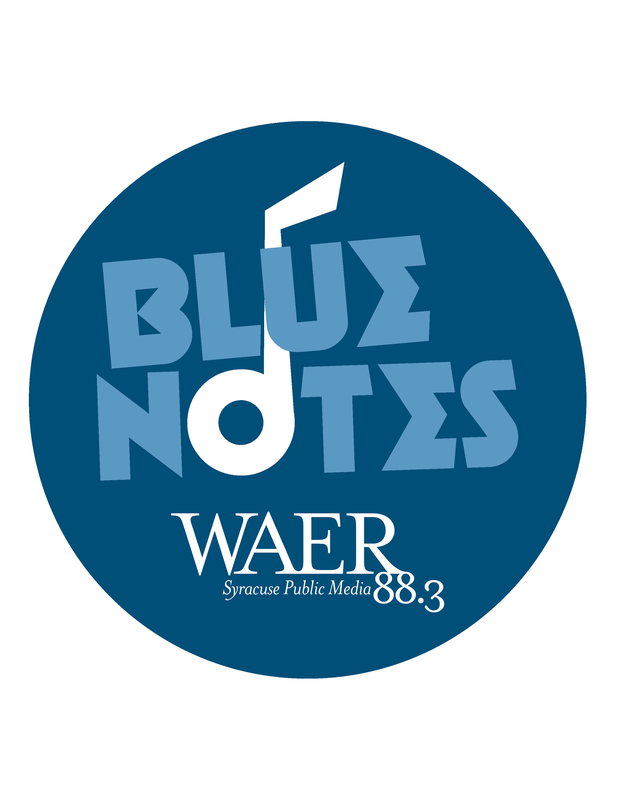 Jazz, blues, AAA, folk, world...it's all here at Syracuse Public Media WAER. A Mardi Gras Concert will heat up the Syracuse cold this weekend … while also helping to support a Performing Arts Center for people in one of the city’s struggling neighborhoods. The event features a New Orleans legend who says music should help bridge divides. WAER's Chris Bolt talks with a New Orleans legend about using live music to bring people together. Music will once again fill St. Paul’s Cathedral in Downtown Syracuse. The 11th “Solstice at the Cathedral” opens Thursday. It traces its beginnings back to a different celebration of the season. WAER's Chris Bolt reports on the origins of the Solstice at the Cathedral concert, as well as its evolution over time, from the founder and some of the performers. When you think about the music being played in Central New York, what comes to mind? Jazz? Blues? maybe a little Reggae? Well how about chamber music? It might not be on the top of your list yet, but it is being perofrmed and fans are showing up to hear it. This week on The 315 Joe Lee and Kevin Kloss are joined by Matt van der Meer, Assistant Professor at Syracuse University and Director of the Syracuse Friends of Chamber Music. He educates us on what exactly is chamber music, where is it being played, and we hear some of his favorite composition. That's this week on The 315! Joe Lee and Kevin Kloss chat with Matt van der Meer of Syracuse Friends of Chamber Music. UPDATE: (9/19 @ 4:00 PM) CONCERT POSTPONED. Live Space Entrtainment reports: Due to circumstances beyond our control, the September 22 Tom Chapin and the Chapin Sisters Food Bank Benefit Concert will be rescheduled. A new date will be announced shortly. Tickets will be honored at the rescheduled show or ticketholders can obtain a refund at point of purchase. Visit www.livespaceentertainment.com for updates. WAER continues it's four-part series diving into the waters of music discovery this week with Patrick Tuohey from the Spark Contemporary Arts Space. He's an active member of the local music community, booking and promoting shows in Central and Western New York. Our conversation includes what goes into booking the perfect show, the continued relevance of physical media, and some emerging indie artists that should be on our radar. Hear our full conversation below and view the track list to check out music from this week's episode. Kevin Kloss chats with Patrick Tuohey from the Spark Contemporary Arts Place and about music discovery. Sounds of the Season continues and this week we take the time to examine what is happening muscially on a local level. Joining host Kevin Kloss this time around is Jess Novak from the Jess Novak Band. She's been an active member of the music community for a number of years and talks about how she's seen it change in that time. She also gives us some names of local musicians to give a try, along with sharing her experience as a female musician in Central New York. WAER's Kevin Kloss is joined by Jess Novak to talk about music discovery from a local perspective. This past Friday, WAER launced a four-part series diving into music discovery called Sounds of the Season. With Summertime in full swing the season for new music is upon us and throughout the month of July, host Kevin Kloss hopes to introduce listeners to new music. Each week features a different guest to discuss their approach to new music discovery and highlight some musical artists they encourage us to check out. The series launced by speaking with Syracuse University Professor David Yaffe. David, has quite the history of music commentary and has penned books regarding Joni Mitchell and Bob Dylan. He joined the program to lay a foundational understanding of the current state of music consumption. Hear our conversation with David Yaffe below, and check out the listing of songs played during the original broadcast. You can hear Sounds of the Season each Friday in July at 8pm on WAER. WAER's Kevin Kloss is joined by Syracuse University Professor David Yaffe to discuss the current state of the music landscape. The founder and organizer of the Syracuse Jazzfest confirmed Thursday, the event is cancelled for 2018 – a year after celebrating its 35th anniversary. Frank Malfitano says money issues prevented him from putting on an event of the caliber of previous years. A Syracuse Music Festival this weekend will be enriching to more than just the audience that goes to hear former Nitty Gritty Dirt Band Founder John McEuen and other musical acts. Aspiring youth musicians in the area will get a chance to learn about the music business from someone who’s been in it for more than 50 years.